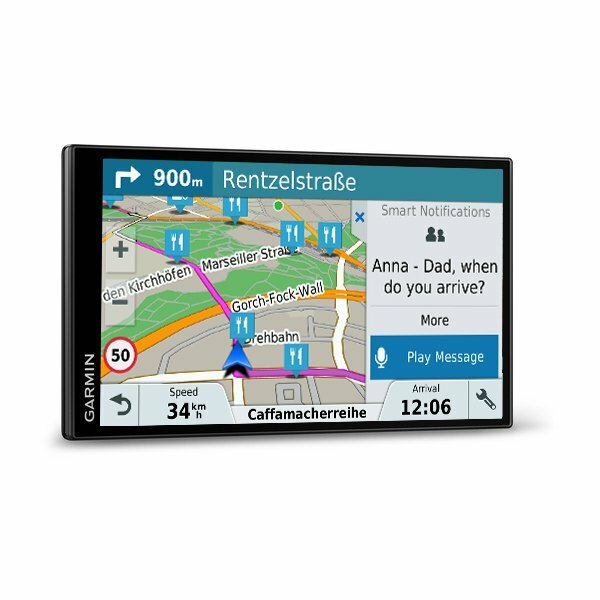 The Garmin DriveSmart 61LMT-D 6-inch car satnav (with pinch to zoom technology) is available with Full Europe mapping. Mapping is FREE for the Lifetime of the product. The Full European model of the DriveLuxe 61 LMT is also voice activated. 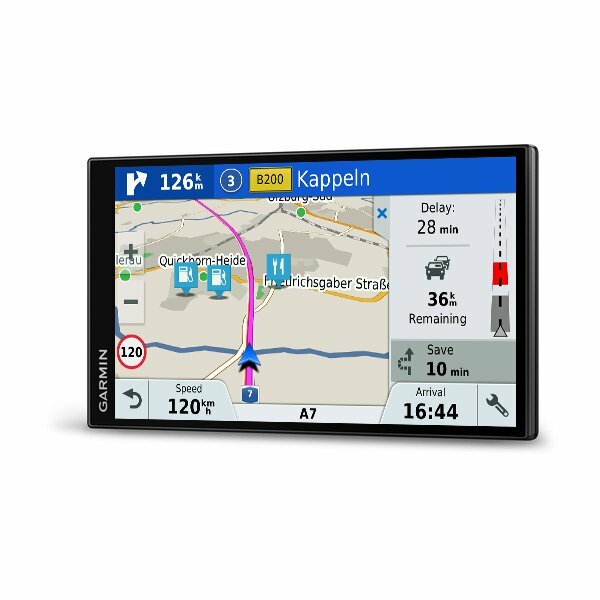 The Garmin DriveSmart 61 LMT-D is a premium Garmin satnav with a 6-inch touchscreen (with pinch to zoom technology) and comes preloaded with Full Europe mapping. Maps are FREE to update for the lifetime of the product. 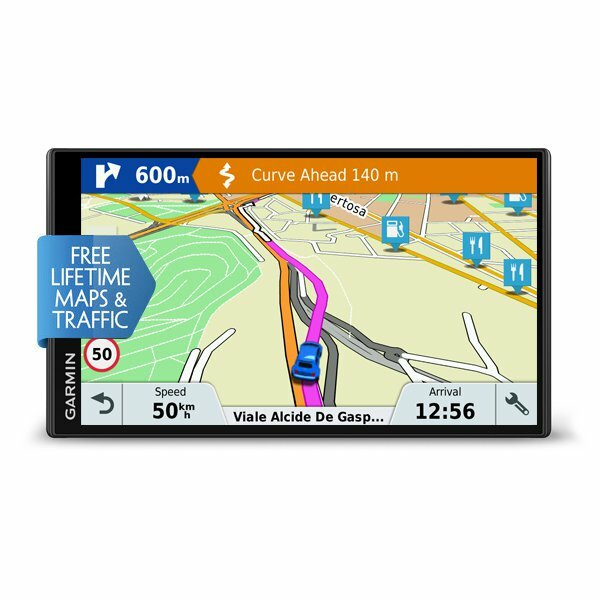 Real Directions is a feature on the Garmin DriveSmart 61 that announces recognisable landmarks, buildings and traffic lights and spoken street names to help provide guidance along your route. Only the Full European model of the Garmin DriveSmart is voice activated. TripAdvisor is built-in to the Garmin DriveSmart 61LMT-D so that you can view ratings for travel points of interest (hotels, restaurants, attractions). These interesting stops along the way can be navigated to along your route. Sharp curves, speed changes, railway crossings and animal crossings are provided by the Garmin DriveSmart 61 LMT-D. The Garmin also alerts when driving wrong way on one way streets, nearby schools and school zones, red light cameras and speed camera locations across Europe (Garmin DriveSmart 61 includes lifetime safety camera updates). Fatigue warnings will also alert you to potential rest areas after several hours of driving. Pair the Garmin DriveSmart 61 LMT-D with Garmin smartwatch (sold separately). This provides navigation on your wrist even when you have left your car. Plus navigate to and from your car and never forget where you have parked. The Garmin DriveSmart 61LMT-D includes everything you need to mount and install it in your car. Included when you purchase from ActiveGPS is a Suction Cup Mount to make installing and removing your DriveSmart simple, quick and easy. We do not recommend using a third party charger with this product. A mobile phone USB charger or a laptop may not be powerful enough to reliably charge the Garmin DriveSmart 61LMT-D and may provide an incorrect voltage or insufficient power. An official genuine Garmin AC charger is available for indoor use with this product you can view and buy here. 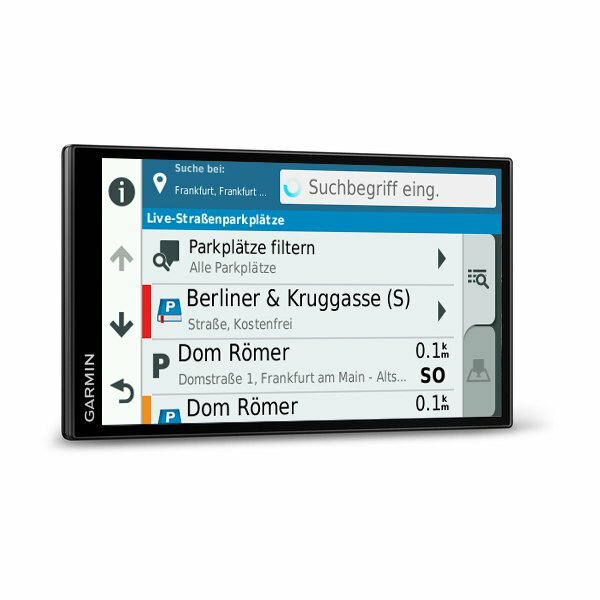 Garmin DriveSmart 61LMT-D is preloaded with City Navigator NT for the UK, Ireland, Western and Eastern Europe provided by here maps. Looking for accessories and spares for the Garmin DriveSmart 61LMT-D? Accessories available to purchase include a carrying case, mains power charger, a weighted dashboard mount and a vehicle reversing camera. Along with these accessories, it's also possible to buy replacement parts such as suction cup mount and vehicle charger. 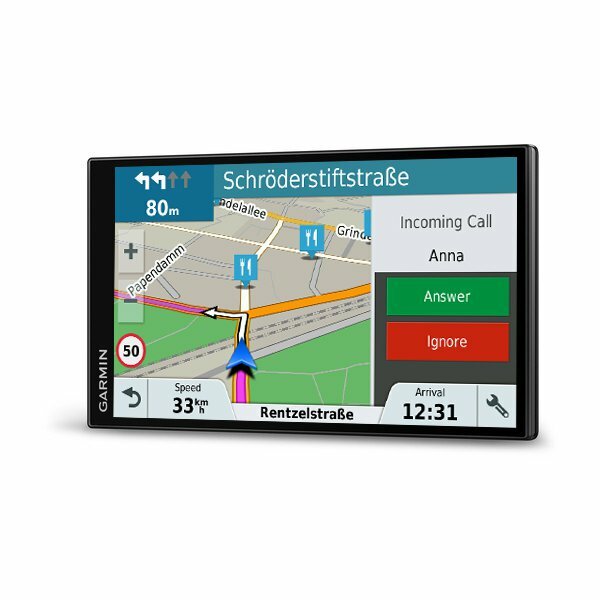 The Garmin DriveSmart 61LMT-D is preloaded with street-level road maps for all of Europe. If however, you want to take the DriveSmart 61LMT-D further afield, we may have the map that you need. 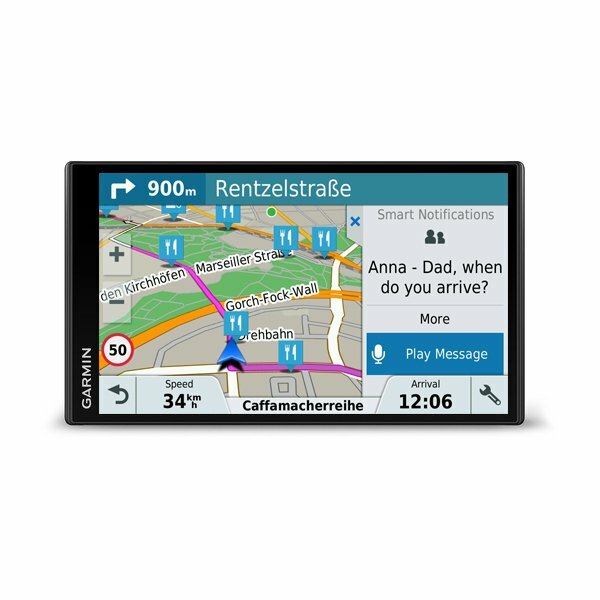 Garmin DriveSmart 61 available maps include: USA, Canada and Mexico, Australia and New Zealand, Morocco and Southern Africa. Question: I have one of these, but have lost everything which attaches it to the car - there was a suction cup etc supplied but that has been lost also. What I really want is the parts to attach it to an air vent. Can you advise? Answer: Garmin DriveSmart 61 accessories can be viewed and purchased from ActiveGPS. While Garmin produce a air vent it is not recommended for use with the Garmin DriveSmart 61. On the webpage we say “This mounting option fits the majority of vehicle air vents for use with all but the 6-inch and 7-inch screen Garmin sat nav models.” The Garmin DriveSmart 61 is a 6-inch sat nav. Your sat nav model is too heavy for the air vent mount and will likely break the air vent and/or vents in your vehicle with the weight of the Garmin DriveSmart 61. 1. Garmin DriveSmart 61 Vehicle Power Cable - power and charge your Garmin DriveSmart 61 from your vehicles cigarette lighter socket. 2. Garmin DriveSmart 61 Suction Cup Mount - mount your Garmin DriveSmart 61 on your vehicles windscreen or dashboard*. *For dashboard mounting you must additionally buy the Garmin DriveSmart 61 Portable Friction Mount. Do you also require traffic information? If you do, please supply your Garmin DriveSmart 61 serial number to us. Garmin DriveSmart 61 ending LMT-S pair with your smartphone for traffic services, while models ending LMT-D, use DAB radio broadcast signal. 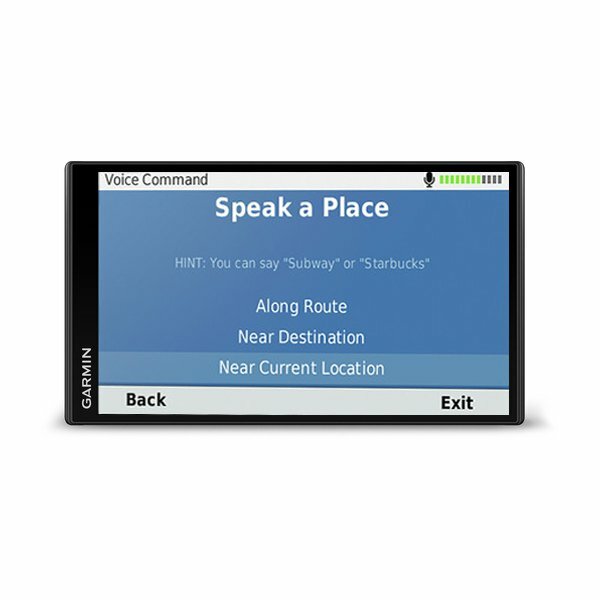 Do you have a question about the Garmin DriveSmart 61LMT-D? Submit your question via our contact page.